Cover shows light wear. Inside pages are overall clean with an occasional ink mark. Name on flyleaf. Notes written on inside back cover. The Garnett Review Company, this is an original 1936 edition. 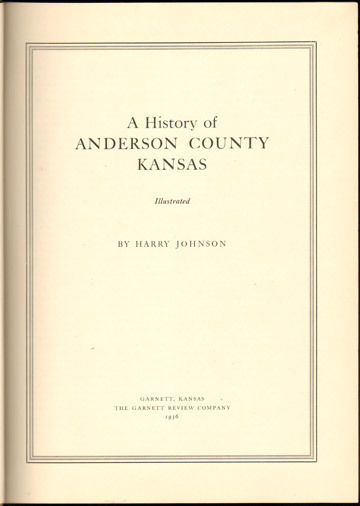 This is a year by year chronology of Anderson County history beginning in 1867 and continuing until 1936 with an account of just about every news event in the county. Includes a few historical photographs. This book does not include family biographies but does include many mentions of persons including marriage and death notices.